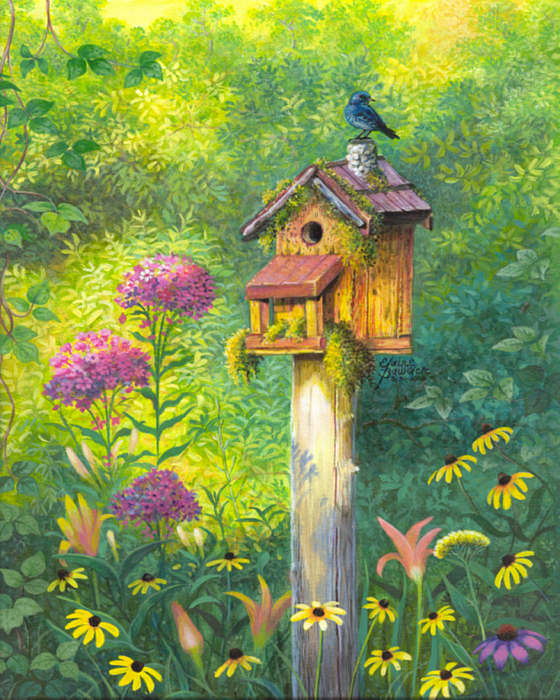 Full of joy and happiness; wonderful uplifting artwork Elaine! what a delightful work of art. 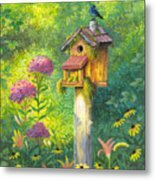 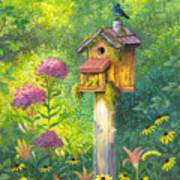 The way the flowers 'frame' the bird house is so nice...the colors are wonderful...a magical place..fav and vote!